Thirty years ago today on January 28, 1986, Space Shuttle Challenger exploded 73 seconds after launch. The space shuttle missions launched from the Kennedy Space Center at Cape Canaveral, Florida. The space shuttle program began using Launch Pad 39A with the launch of Columbia in 1981. The Challenger used Launch Pad 39B, which is now a historical landmark. 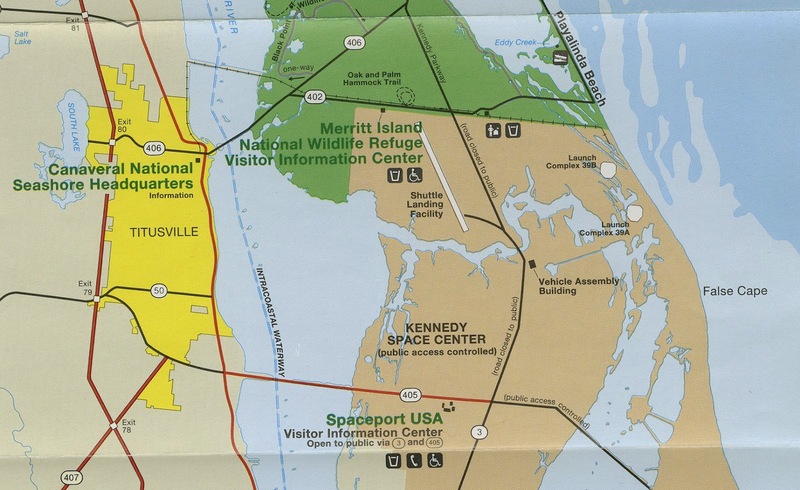 The top map above is from the Ball State University Libraries’ GIS Research and Map Collection (GRMC) and is part of the National Park Service map, Canaveral and Merritt Island, which was published in 1993. 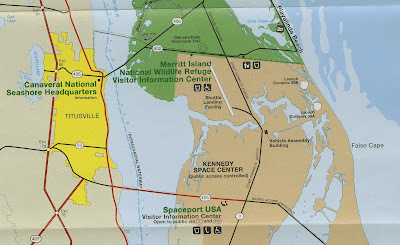 The Kennedy Space Center neighbors the Canaveral National Seashore and Merritt Island National Wildlife Refuge on the east coast of Florida between Daytona Beach and Melbourne. The GRMC also includes dozens of tourist maps of Merritt Island and Florida. The collection also includes topographic maps, ortho-photography, and nautical charts of the area. 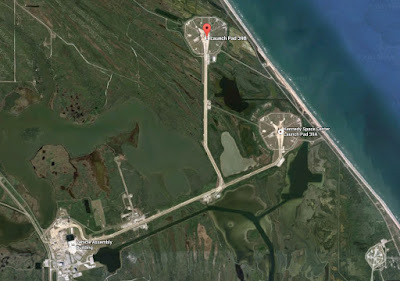 The Google satellite map of the area shows the details of the Launch Complex 39. The complex includes the launch pads and a vehicle assembly building. A third launch pad was constructed and opened in July 2015. (Private companies now utilize the complex to fly missions for the commercial market). For more information about using maps for research and learning, please contact the GRMC at 765-285-1097.